(Newser) – Violence at Idaho's biggest prison has prompted inmates to call it "Gladiator School," and now the FBI is on the case. 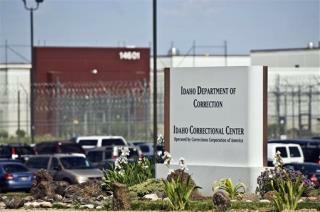 Federal agents are taking over an Idaho investigation into the private Nashville, Tennessee-based firm Corrections Corporation of America, which runs the Idaho Correctional Center, the AP reports. After an AP investigation, the company last year admitted to serious understaffing as well as fake reports to keep it quiet. The AP's report found that guards were known to work 48-hour shifts. This can't possibly be true. Conservatives preach that the private sector does EVERYTHING better than government, to the point that its become gospel. Idaho is the state that wants college students to bring guns to class - this story is consistent with that. Why would any same person live in a state that makes Alabama look good?